Background/Info: “Invader” is the tenth full length album by Jan Loamfield under the Noisuf-X moniker. 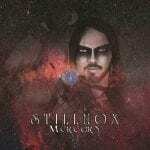 The album got released at the end of 2018 featuring 13 new songs. 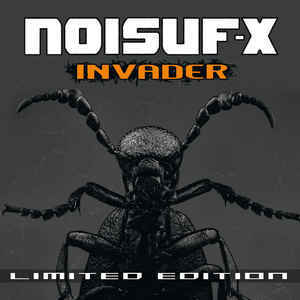 Content: When listening to Noisuf-X you clearly know what you get! 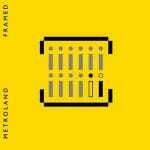 The German industrial-rave guru remains faithful to his successful sound formula made of hard, pumping kicks, solid bass lines, terrific leads and sampled vocals. “Invader” stands for power and multiple moments of sonic ecstasy. Each album always has a few tracks with that little bit ‘more’. It’s not different on the new work. Songs such as “Who Am I?” for the yiddish-like lead and “Fake” for the samplings and global power both attention grabbers. The most surprising song however is “Killer” featuring guest vocalist Mark Benecke. It must be one of the first times Noisuf-X has used real vocals on a song. + + + : The previous album “Banzai” wasn’t my favorite one, but “Invader” is once again a shot on target! The songs reveal Jan Loamfield on his best. There’re numerous terrific pieces featured here and even if the sound formula is known by all fans of Noisuf-X it remains a surprising experience. “Who Am I?” is characterized by a terrific lead, but there’re much more songs to mention. “Runter In Den Bunker” is one among the list and definitely a hard and merciless last track of the album. Noisuf-X once again excels in sound treatments, terrific bass lines and icy leads! – – – : I remain totally devoted to the sound of Noisuf-X, but some of the songs are a bit too similar. I sometimes feels a bit like Noisuf-X is repeating himself so new elements will be necessary and that’s maybe what Jan feels himself featuring a guest vocalist on one of his songs. Conclusion: The world is hardly caught by terrorism, but there also is positive terrorism; a sonic terrorism that will feel like an uppercut right in your face and, which is commonly known as Noisuf-X! Best songs: “Fake”, “Who Am I?”, “Runter In Den Bunker”, “Finish Him!”, “Get Out Of My Sight”, “The Search”.